Rockingham County Supervisor Pablo Cuevas looks west out the window of his living room in Broadway, toward the ridges that surround Bergton. 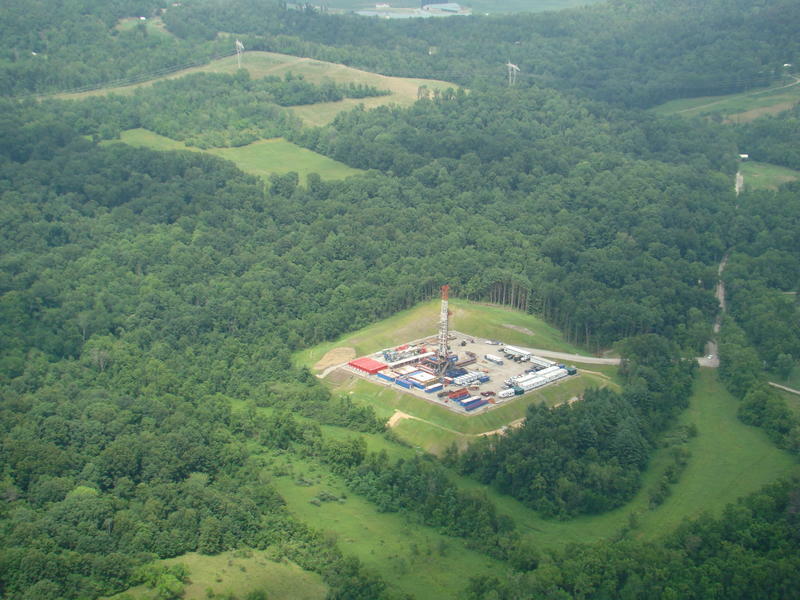 A Carrizo drilling pad in the Utica shale in Ohio. Texas company Carrizo's application was denied after being table for several years. Five years after a Texas company applied for permission to drill an exploratory well in Rockingham County, local leaders have finally issued a decision - no. WMRA's Andrew Jenner has the story. In 2010, a Texas company called Carrizo kicked up a storm in Rockingham County when it applied to drill for natural gas in Bergton. It would have been the first use of the controversial drilling technique called hydraulic fracturing, or “fracking,” in this part of the state. County supervisors tabled the request to learn more about what it would mean here. PABLO CUEVAS: The more that I learned from it, the more concerned that I became. That’s Pablo Cuevas, the supervisor whose district includes Bergton. He and several others took a field trip to West Virginia to see existing wells in action. CUEVAS: And we found that it was a very intensive operation. There were large trucks. I noticed that there was some damage to some of those back roads. There’s certain types of roads that just don’t take the same punishment as other roads that were built for commercial and industrial and a lot more traffic. And I didn’t like that. That’s one of several things Cuevas and the other supervisors didn’t like about the idea. They gave Carrizo a list of conditions to meet, but Cuevas says they never heard back. And so the tabled request just sat there until late last month, five years and a day after it first appeared on their agenda, the supervisors voted to deny it. KIM SANDUM: We think that was the right call. Kim Sandum directs the Community Alliance for Preservation, a local group that works on land use issues. SANDUM: I know that they spent a lot of time investigating the issue and researching and visiting other communities where this issue was happening. They put a lot of homework into this and I think they came to the right conclusion for the citizens of Rockingham. The agricultural area in Bergton would have been in competition with an industrial area, and those two uses really don’t go well together. Carrizo didn’t respond to requests for comment on this story. But as far back as 2011, the company told Harrisonburg’s Daily News-Record that it was putting all plans to pursue natural gas drilling in Virginia on hold. SANDUM: So in a lot of ways it really was a formality because the company that was interested had stepped away from this particular region. But I think when other companies look at shale maps and look at Rockingham County, it will be important for them to see the record here and the final decision. Beginning nearly a decade ago, Carrizo and a handful of other companies leased thousands of acres in Rockingham County for gas exploration. That’s because the edge of the gas-rich Marcellus shale formation extends into western Virginia. But Michael Ward of the Virginia Petroleum Council says economic conditions now have turned the industry’s attention away from Virginia’s sliver of the Marcellus shale. MICHAEL WARD: Because it’s an unknown, it’s a very small portion. 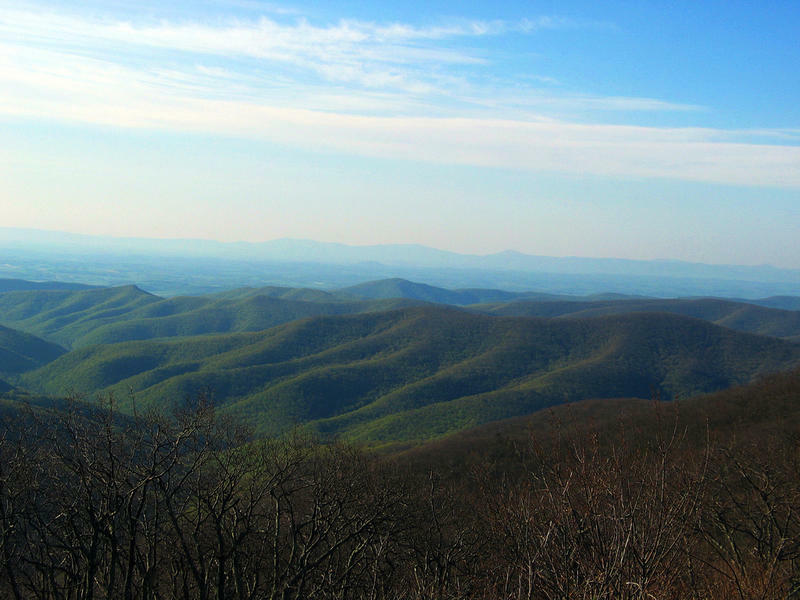 Especially now that prices have lowered, there doesn’t seem to be as much activity or interest in Virginia, in the western part of the state. Practically all the leases once taken out in Rockingham County have now expired, though the geology beneath Bergton won’t be changing any time soon. If interest in gas drilling returns at some point in the future, Cuevas isn’t sure he’d ever be convinced to support it. CUEVAS: It would take a lot. Sometimes you also have to look at do you really need something. Based on the damage that I saw them doing to the streams and the roads and what little anybody else got out of it, I just didn’t think that this sounded financially very enticing to me. There are some things out there that appear to be good and that appear to be lots of money and stuff like that, but sometimes that might not necessarily be what you want to do in your county. Sandum says that’s good decision-making. SANDUM: I’m just pleased with how our community has been interested in taking care of the things we value. I really appreciate when people hear something that they are concerned about, that they take the opportunity to contact their local government, and themselves to learn more. And there was a lot of that through the last years, and that, I think, is a sign of a real healthy community.